KAMPALA, UGANDA – The World Intellectual Property Organization (WIPO) has launched a Development Agenda program in Uganda, aimed at building capacity in the use of appropriate technology, specific technical and scientific information to address development challenges in the country. A delegation from WIPO met with representatives of Ugandan government and other stakeholders earlier this month in Kampala to initiate the project. “The primary purpose of this project is to contribute to the national capacity of Uganda to improve the management, administration and utilization of technical and scientific information with a view to building Uganda’s appropriate technology base and meeting our national growth and development goals through knowledge transfer and capacity building, taking into account social, cultural and gender implications of the use of technology through joint interaction with a National Expert Group (NEG) and focal organizations,” reads a statement obtained from Uganda Registration Service Bureau, (URSB), the implementing agency on behalf of the government. WIPO members adopted the Development Agenda in 2007 with 45 Recommendations, and they are now being applied to all member states in coordination with national programs. According to a report [pdf] by the WIPO Committee on Development and Intellectual Property (CDIP), which is implementing the 45 Recommendations, capacity building in the use of appropriate technology specific technical and scientific information as a solution for identified development challenges addresses WIPOs Development Agenda Recommendations 19, 30 and 31. Appropriate technology refers to technology that makes best use of locally available resources and ensures an adequate supply of the basic necessities of life such as clean water, food and energy. Recommendation 19: To initiate discussions on how, within WIPO’s mandate, to further facilitate access to knowledge and technology for developing countries and LDCs to foster creativity and innovation and to strengthen such existing activities within WIPO. Recommendation 30: WIPO should cooperate with other intergovernmental organizations to provide developing countries and LDCs, upon request, advice on how to gain access to and make use of intellectual property-related information on technology, particularly in areas of special interest to the requesting parties. Recommendation 31: To undertake initiatives agreed by member States, which contribute to transfer of technology to developing countries, such as requesting WIPO to facilitate better access to publicly available patent information. 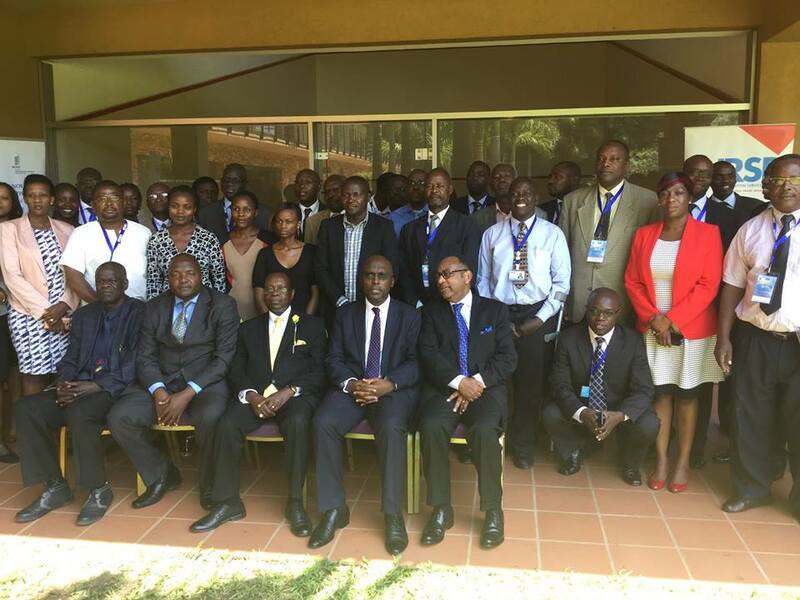 The WIPO delegation to Uganda was led by Kifle Shenkoru, director, WIPO Division for Least Developed Countries. Speaking during a discussion at the National Meeting on the Implementation of the WIPO Development Agenda Project, held in Kampala, Shenkoru said the success of the Development Agenda will depend on appropriate policies and technologies. WIPO has a mandate to work with developing and least developed countries to enable them to reap benefits from the intellectual property system and to enhance their participation in the global innovation economy. Under the framework of the implementation of the DevelopmentAgenda, Uganda made a request through the Minister of Justice and Constitutional affairs, to WIPO through its Division for Least Developed Countries. The request was reviewed and WIPO has now finally selected Uganda. Earlier beneficiaries to the program include Nepal, Bangladesh, and Zambia. Ethiopia is among the current beneficiaries. [corrected] Any LDC that is a member of WIPO qualifies to apply for this Development Agenda program. During the national meeting on the implementation of the WIPO Development Agenda Project held in Kampala, on 11-12 August, Lloyd Samson Thole, an intellectual property expert from Zambia, showed how Zambia had benefited from the program. He presented a paper [pdf] titled; The Experience of Zambia on Transfer, Development, Adaptation and Acquisition of Technology. In Zambia, the program enabled the construction of run-off rain water harvesting dam for irrigation in Siavonga district. Mohamed Shariff Mohamed Din, advisor, Putra Science Park Universiti Putra Malaysia, presented a paper [pdf] showcasing Malaysian experience titled; Using IP for Economic growth & Development: The Role of Industrial Property with Emphasis for National Technological Capacity Building. Other topics discussed at the national meeting included: use of patents for nation development, access to and use of patent information for transfer of technology, and establishing innovation culture in a university or a research institution. WIPO will provide a total of CHF 467,992 Swiss francs towards the total project cost for all selected beneficiary LDCs in the current phase. The URSB will have to mobilise resources to pay support staff, costs for implementation of the business plan and costs for publicising the project. The project is expected to run for 36 months. "WIPO Launches Development Agenda Project In Uganda" by Intellectual Property Watch is licensed under a Creative Commons Attribution-NonCommercial-ShareAlike 4.0 International License.